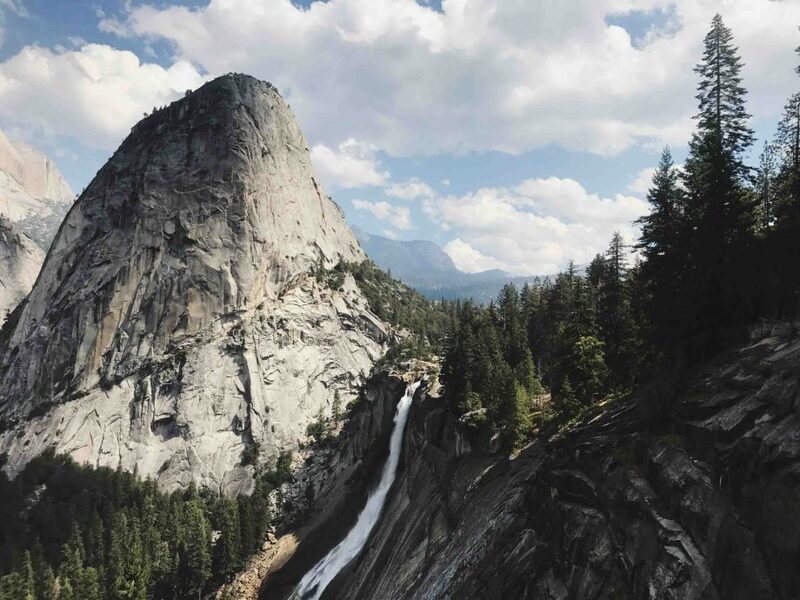 “It is by far the grandest of all the special temples of Nature I was ever permitted to enter.” The only way to fully appreciate the beauty of Yosemite National Park as John Muir did is to hike deep in the backcountry. Trip End: Ends at North Pines Backpackers Campground between 3-5pm on Day 4. 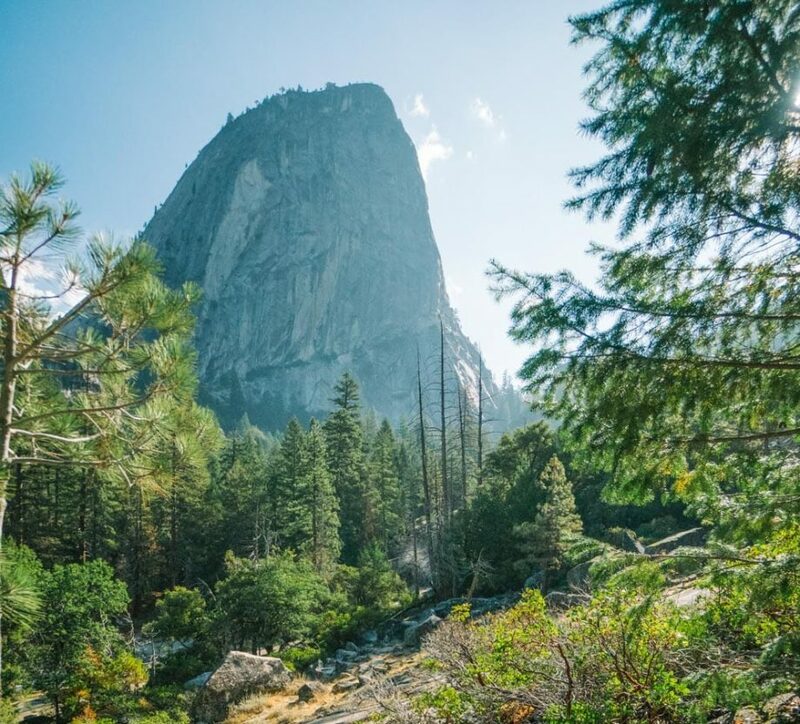 Meet your Yosemite backpacking guide at North Pines Backpacker’s Campground in Yosemite National Park at 3:00pm for a trip orientation. North Pines Backpacker’s Campground is behind the North Pines Campground and across the footbridge. Your guide will begin with introductions and a brief orientation where all gear will be distributed and everyone will help to set up camp for the night. This time will be used to get acquainted with each other, the equipment, and your incredible surroundings. 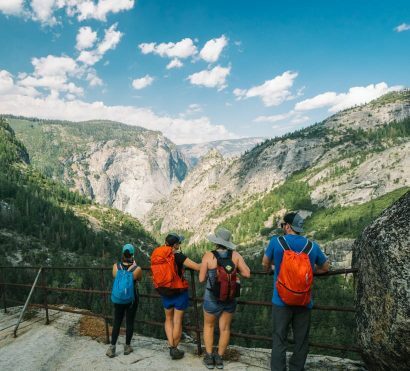 After getting settled in and eating dinner we will head into the Valley for a local activity to help get to know the area, this may include watching climbers on the famed walls of El Capitan, checking out the Ansel Adams Gallery, or even attending a film or performance at Yosemite Theater. Afterward, we will head back to camp to hit the sack in preparation for an early start! After a hearty breakfast we get our gear and packs squared away then caravan (in your own own vehicle) to the Yosemite Creek Trailhead where our day will really begin. 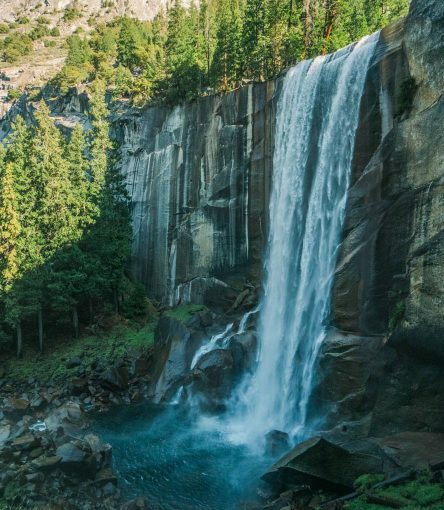 Today’s Yosemite hike leads us through a forest of Western White and Jeffrey Pines and alongside the sparkling Yosemite Creek. Our campsite will be nestled alongside Bluejay creek. This will be your home for the next two nights. The evening will be spent exploring around camp, relaxing with your fellow travelers, and no doubt hearing some interesting geologic and historical facts (or even a few tall tales) from your guide. 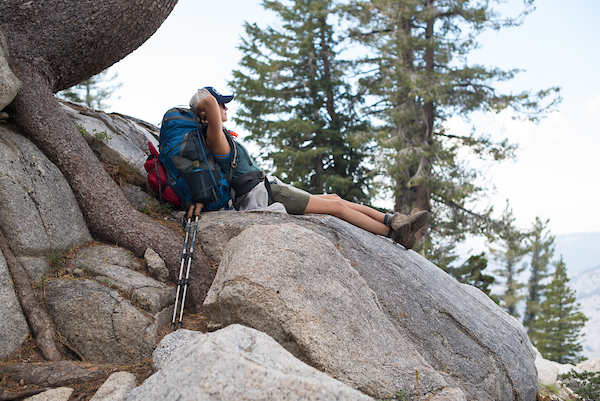 Today we’ll lighten our backpacks and spend the day exploring more of Yosemite’s trails and backcountry. 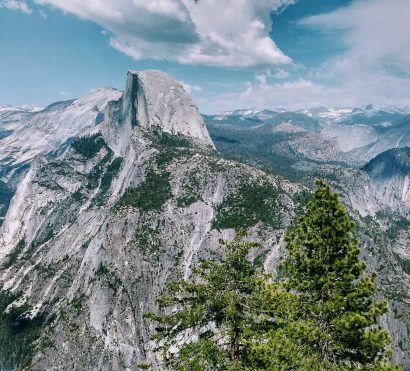 After breakfast we head out to summit Eagle Peak where we are rewarded with panoramic views of Yosemite and the Sierra, including Half Dome and Clouds Rest. 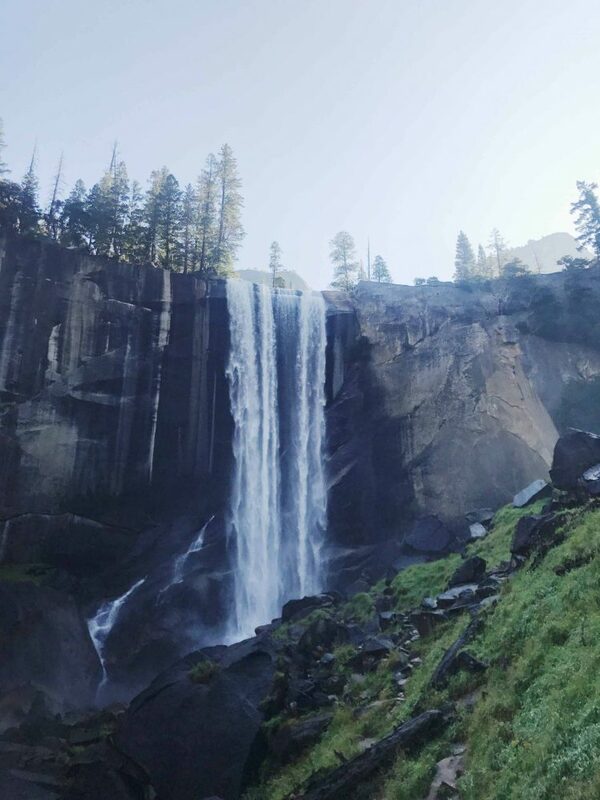 If we still have time after Eagle’s Peak we can head over to Yosemite Falls, one of the tallest waterfalls in the world! Tonight we enjoy our final night in the backcountry together and get ready to start our journey back to the real world tomorrow. 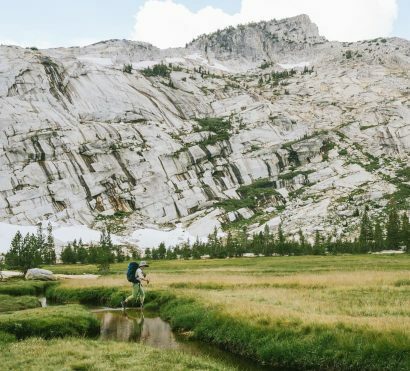 After a delicious breakfast (made all the better by the wilderness surrounds), we break camp and retrace our steps along Yosemite Creek all the way back to the trailhead where we began our backcountry adventure. Here we say goodbye to our new friends and to Yosemite, until next time. 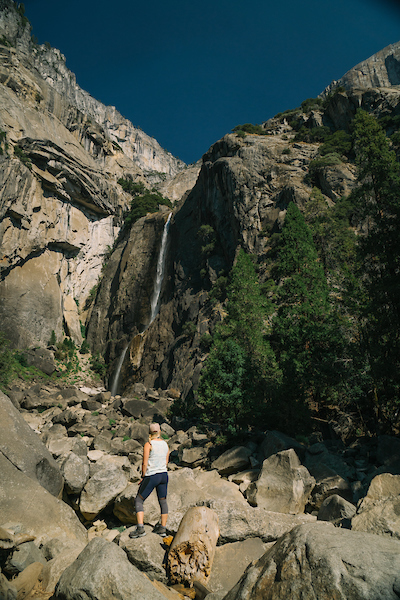 Expect to arrive at your vehicle between 3:00 and 5:00pm where your Yosemite tour will conclude. 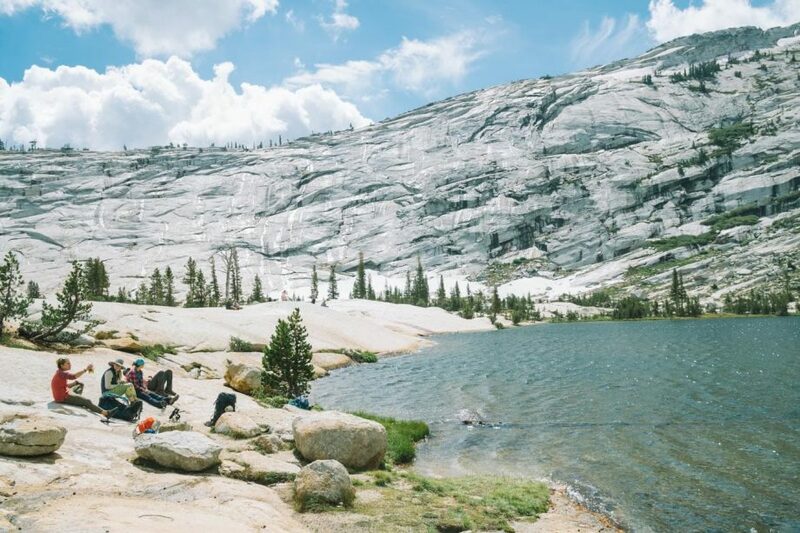 Cell service & Electricity: While backpacking in Yosemite, you will not have cell phone service, you should expect to be unreachable by phone. There is no electricity available. Bring a portable battery to charge your phone for photos. Bathrooms/Showers: During this trip we will not have access to showers or bathrooms. We will practice Leave No Trace principles for managing waste in the backcountry. 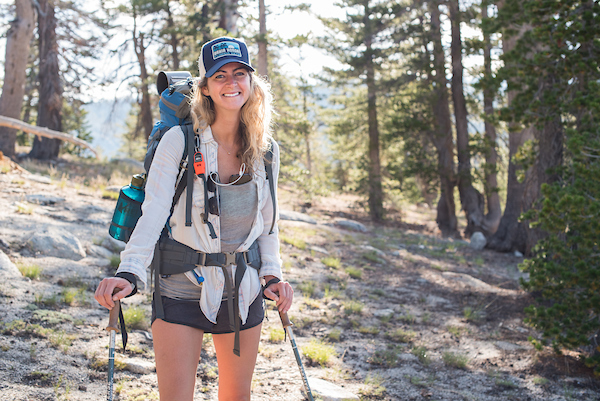 This backpacking trip requires that you carry all you need and a portion of the group gear on your back during the hikes on days 2 and 4. 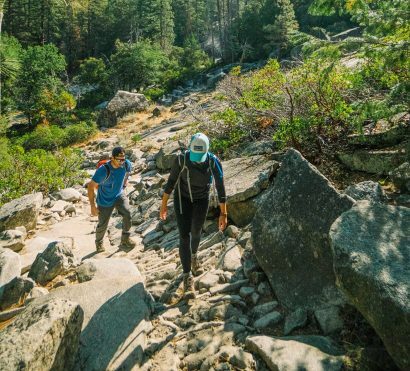 Expect to carry about 35-50lbs in your backpack while hiking over uneven terrain.